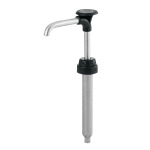 The Server 88180 bottle pump is designed to dispense directly from a bottle with a 28 millimeter thread. Its plastic cylinder fits on the bottle opening and is made of plastic. 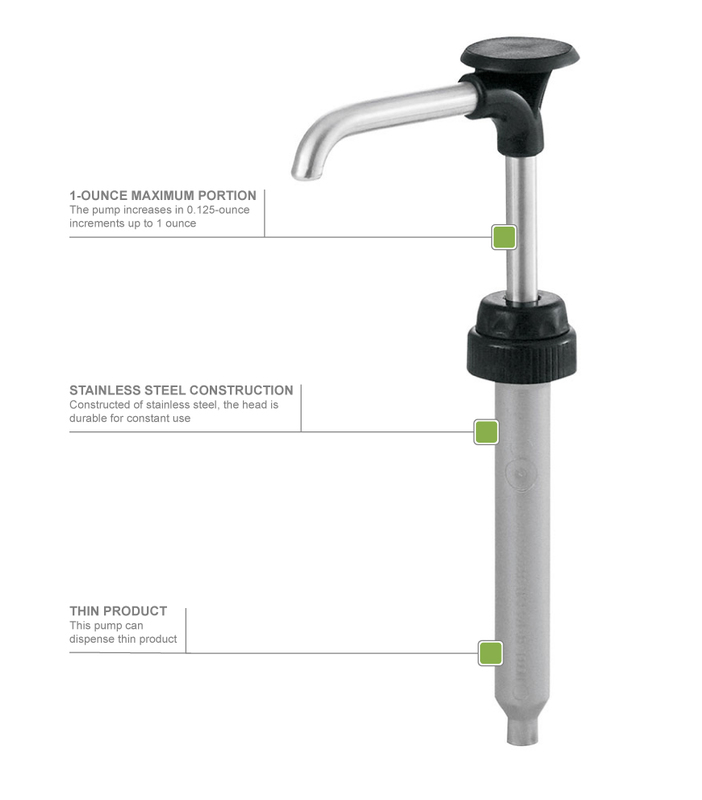 The rest of the head is constructed of stainless steel for durability. This pump is certified for the clean-in-place method or can be disassembled for traditional cleaning. The Server 88180 bottle pump provides a fixed portion of 1⁄4 ounce and can easily dispense thin product. Provides a fixed portion of 1⁄4 oz.